The Navarro style single adult urn is distinguished by its octangular rectangle shape, raised beveled top, and elegant white with cream/off-white veining. Cultured marble is much more durable than natural marble, thus making it the ideal material for cremation urns which are meant to last for eternity. This urn loads from the bottom and securely seals with a threaded plug. This urn can be engraved on the front or top for an additional fee. Please limit engraving to no more than 40 spaces per line. An engraving proof will be emailed for your approval prior to the urn being engraved and shipped. Please allow one business day after the proof has been approved before the urn ships. 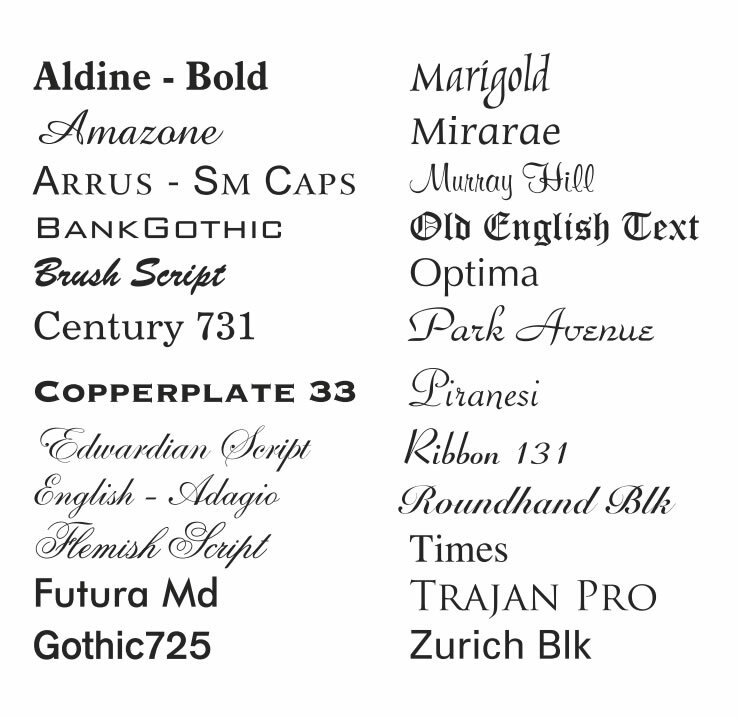 Select your font style by clicking on the small list below the photo of the urn. Clip-art can be selected by clicking on this link: http://halointlcorp.com/personalization/laser_clipart.html Place the clip-art number and a 1-2 word description in the space provided under Options.